It is hard to believe another year has passed and WEFTEC has come and gone. We look forward to the event every year as it’s a good time to see friends, long time customers and meet new customers. WEFTEC 2016 was no exception! 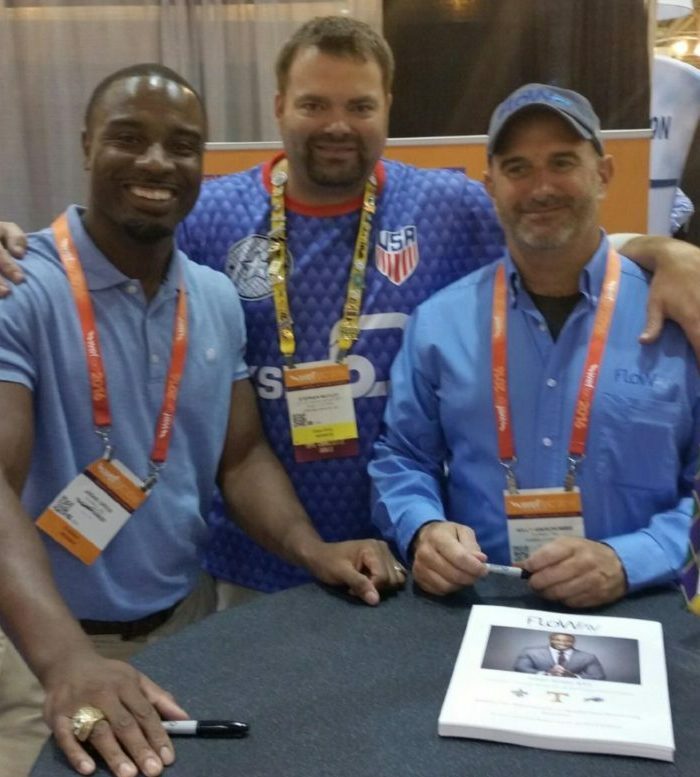 FloWav was proud to present Jabari Greer, former New Orleans Saint and SuperBowl Champion in our booth on Tuesday and the time was well spent for those that had the opportunity to be there. Jabari is a class act and took time to speak with everyone he could. Thank you Jabari! . Don’t forget we now offer the StingRay Ultrasonic Sensor which includes some great and exciting new features making it a must have for open channel flow monitoring. In keeping with our trend of introducing new products also contact us about the newest Inspection Camera, the Mantis. The Mantis a WI-FI, portable, pole mounted, fully submersible HD camera that will allow you to evaluate monitoring sites or your equipment from topside. These new products are awesome and FloWav wants everyone to have the opportunity to own them. Mention this post and receive an instant, HUGE discount!